Potato Dextrose Agar (PDA) is a general purpose basal medium for the identification, cultivation and enumeration of yeast and molds in foods and dairy products. 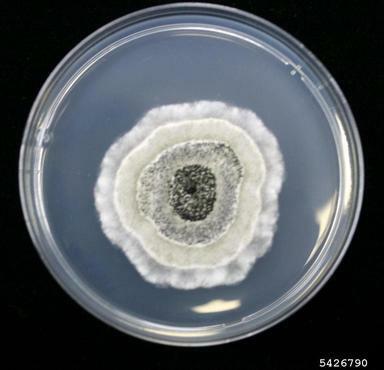 It may also be used for the cultivation of yeasts and molds from clinical specimens. Since it stimulates sporulation and pigmentation, it also aids for cultivating and differentiating pathogenic and non-pathogenic fungi. PDA is also useful for maintaining stock cultures of certain dermatophytes. Certain antibiotics or acids like Chloramphenicol, Tartaric Acid and Chlortetracycline can be added as selective agents. Potato Dextrose Agar with TA (Tartaric Acid) is recommended for the microbial examination of food and dairy products. Addition of Chlortetracycline is recommended for the microbial enumeration of yeast and mold from cosmetics. Potato Dextrose Agar with Chloramphenicol is recommended for the selective cultivation of fungi from mixed samples. Potato Dextrose Agar (PDA) contains dextrose as a carbohydrate source which serves as a growth stimulant, and potato infusion that provides a nutrient base for luxuriant growth of most fungi. Agar is added as the solidifying agent. A specified amount of sterile tartaric acid (10%) may be incorporated to lower the pH of the medium to 3.5, so that bacterial growth is inhibited. Care should be taken not to reheat the acidified medium; heating in the acid state will hydrolyze the agar which can render the agar unable to solidify. Suspend 39 grams in 1000 ml distilled water. Heat to boiling to dissolve the medium completely. Sterilize by autoclaving at 15 lbs pressure (121°C) for 15 minutes. Mix well before dispensing. In specific work, when pH 3.5 is required, the medium should be acidified with sterile 10% tartaric acid. The amount of acid required for 100 ml. of sterile, cooled medium is approximately 1ml. Do not heat the medium after addition of the acid. For processing of specimen, streak the specimen onto the medium with a sterile inoculating loop in order to obtain isolated colonies. Incubate the plates at 25 – 30°C in an inverted position (agar side up) with increased humidity. Cultures should be examined at least weekly for fungal growth and should be held for 4 – 6 weeks before being reported as negative. Yeasts will grow as creamy to white colonies. Molds will grow as filamentous colonies of various colors. Count the number of colonies and consider the dilution factor (if the test sample was diluted) in determining the yeast and/or mold counts per gram or milliliter of material. I am working to identify a pathogen in the lab. I cultured the samples (leaves) on PDA and there was a fungi growth but some of the plates appears to contain bacteria. Please I want to know if it is possible for bacteria to grow on PDA, if not contamination. Wheather PDA basal medium is suitable for the growth of Mucor species which are present in soil. I would like to enumeration of Bacillus from soils. How to do that?